It is the end of one era and the beginning of another for The Muppets. It was recently revealed that after more than three decades, Steve Whitmire had been fired as Kermit the Frog. He was the man who took over the role following Jim Henson's death, so it is a very big deal that someone else is now going to take on the role. That man is Matt Vogel and his very first performance as Kermit the Frog has just been released online. Matt Vogel makes his debut as Kermit the Frog on the latest Muppet Thought of the Week video, which was released on The Muppets YouTube channel. The video is quite brief, but it does give us a sense of what we can expect from the new Kermit the Frog. The video was supposed to be released a few weeks ago, but following the news of Steve Whitmire's firing, The Jim Henson Company and/or Disney decided to wait a little while to drop the video online. But it's here now and that's the important thing. Matt Vogel is no slouch and has been a part of The Muppets since 1996, so he has more than two decades working with Henson's creations. There is no question he is doing a fine job as Kermit the Frog here, but it is noticeably different than what we have been accustomed to during the Steve Whitmire years. 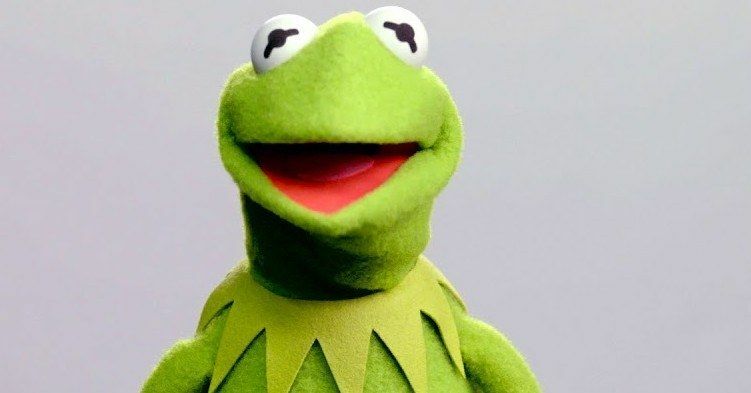 Vogel actually voiced Kermit's imposter Constantine in the movie Muppets Most Wanted. So he did in some way have a little experience as Kermit prior to this. He's likely to have plenty of experience in the years to come. It came as quite the shock when Steve Whitmire was fired, but apparently, it had been a long time coming. He was reportedly fired for "unacceptable business conduct over a period of many years." Whitmire debated the legitimacy of those claims, but he still lost the gig. Whitmire had been voicing Kermit the Frog since 1990, but he has been with The Muppets since 1978. He was truly a major fixture in the history of Jim Henson's beloved creations. He made his debut on The Muppet Show and voiced characters like Rizzo the Rat and Beaker, in addition to Kermit. It is unclear at the present moment when we are going to see a more significant performance from Matt Vogel as Kermit the Frog. The recent Muppets show on ABC was canceled after just one season and there aren't currently any movies in the works. At least none that have been announced. But rest assured, Disney and The Jim Henson Company will find a way to bring The Muppets back to the big or small screen at some point and Vogel will get his chance to prove he is a worthy successor. For now, you can check out his debut as Kermit in the Muppet Thought of the Week video for yourself below.